Here at CAST, we’re constantly innovating and improving around Software Intelligence for digital leaders. We recently released some very new capabilities and improved on several key existing capabilities. I regularly touch base with CAST customers and speak to IT leaders who are looking to integrate CAST into their ADM practice on a daily basis. I see very clearly that there are five capabilities that generate the most excitement in these conversations, and I wanted to share that with you. Recently, CAST Highlight integrated one of the most complete Software Bill of Materials databases with our analytics to bring you Software Composition Analysis (SCA). Customers love this capability because it gives Enterprise Architects a complete view of components, licenses and vulnerabilities across their portfolio. At an enterprise level, IT leaders can quickly understand component risk and plan for platform modernization. By the way, if you’re already a CAST Highlight subscriber, you have this in your dashboard today! If you’re new, give it a try here. We’ve also launched CAST Imaging, which introduces Software Intelligence to Application and Cloud Architects. Imaging makes discovering and understanding complex systems easy (and fun!). Customers are excited about how Imaging allows them to explore end-to-end architecture, group software elements (e.g. methods) to help model new architectures without having to write a single line of code. We worked with leaders in the visualization space (Neo4J and Linkurious) to create this super-fast and flexible architecture explorer interface. You can learn more or ask for a personal walk through here. The CAST AIP Console is a browser-based, one-stop-shop for configuring applications and managing analyses in the Application Intelligence Platform. AIP Console makes maintaining your AIP deployment significantly easier by allowing users to launch and monitor multiple analysis scans on a single screen. In support of legacy modernization efforts, we continue to expand our web and mobile technology coverage. We rolled out new technology support for Angular Typescript, ReactJS, NodeJS for Sails, Android and Swift. We’ve also expanded our rule set for NodeJS and expanded JQuery coverage into SAP AJAX calls. Check out a complete list of our technology coverage here. Finally, we launched a focused security product this year: CAST Security Dashboard. CAST Security includes improvements to our rule coverage of standards, such as OWASP, simplification in security configuration within the platform and a dashboard that allows CISOs and DevSecOps organizations to dive quickly into dangerous vulnerabilities. Customers can access critical security findings more easily via this focused interface. Take a tour here. As you can see, 2018 has been a busy one for us as we’ve worked to bring these new capabilities to market. If you’re interested what you see above, please make sure you reach out to your account manager! And don’t forget to subscribe to the Software Intelligence Blog for regular updates and thought leadership from your CAST team. 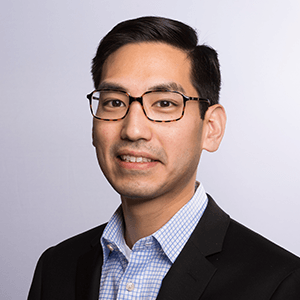 John Chang is the Head of Solution Design for CAST in North America, helping Fortune 2000 companies leverage CAST’s solutions to reduce system-level defects and improve application development outcome success.